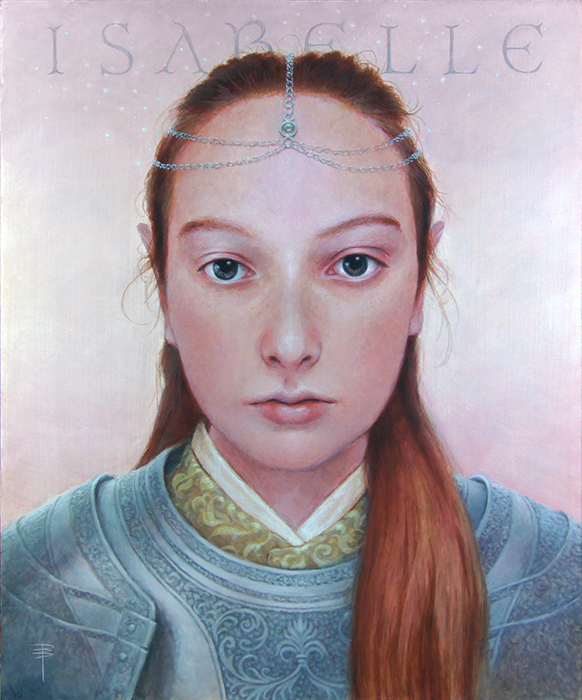 Last month, I finished a full-term mentorship with Rebecca Léveillé-Guay as part of her SmArtSchool online program. It was an amazing time, and I’m still processing what I learned, both from my own explorations under Rebecca’s guidance, and from watching as she worked with the other students (who are all amazing). I did three paintings during the course, two of which are complete. This is the best result, one that I am quite pleased with (it’s also the largest painting yet for me!). Hanna is a re-enactor and craftsperson/merchant that I met two years ago at Medieval Week in Visby on the island of Gotland. I knew as soon as I met her that I wanted to paint her portrait, but early attempts didn’t work out so well. Last summer, she graciously took a few moments from her work with the festival to sit for a some reference photos. Earlier attempts notwithstanding, this is the portrait I saw in my head when Hanna and I first met, and I’m so grateful that both Rebecca and my excellent classmates could lend so much help and support in getting me here.